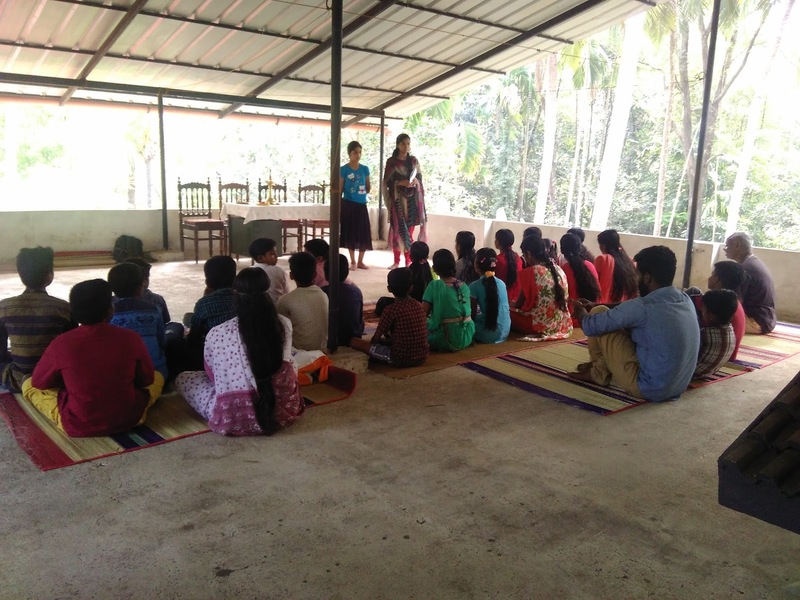 On 22 January, (Sunday), a one day Samskar Varga prashikshan Shibir was conducted at P.Vemballur at Smt Mridula Chechi's (a well wisher of Kendra) house. 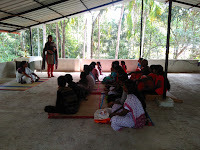 20 children attended . 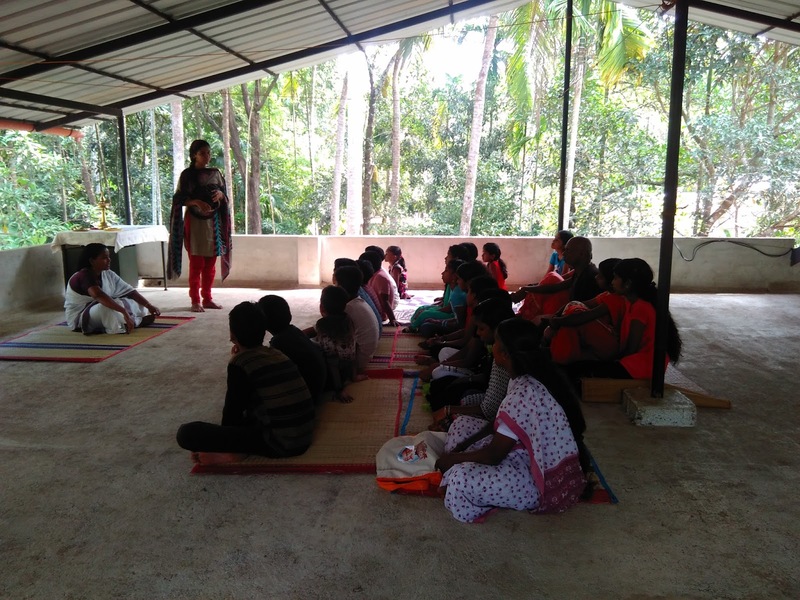 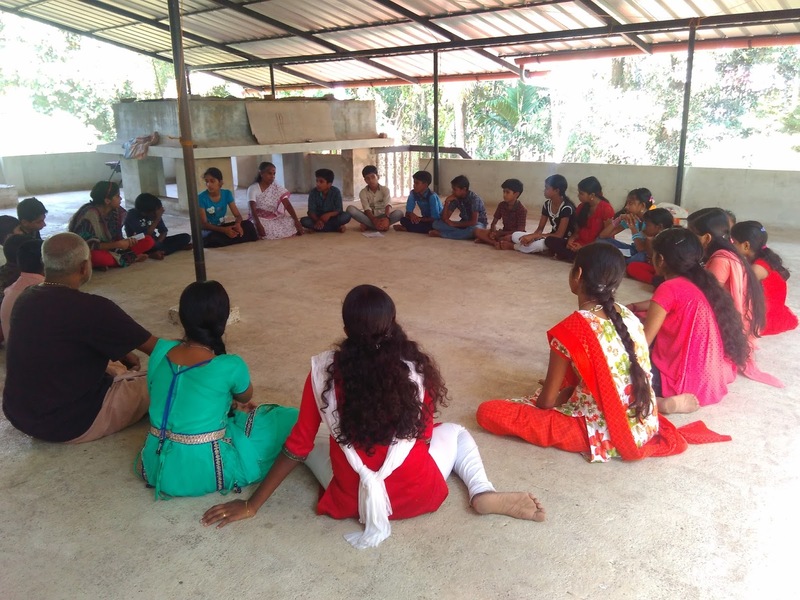 Leaders of Kodungallur Samskar Varga um Sreelakshmi and newly trained students of Edavilangu Kum Aiyana, Kum.Aparna,Kum. 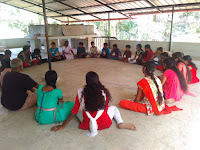 Archana and Kum.Ardra and Su Bindu, were the resource persons. 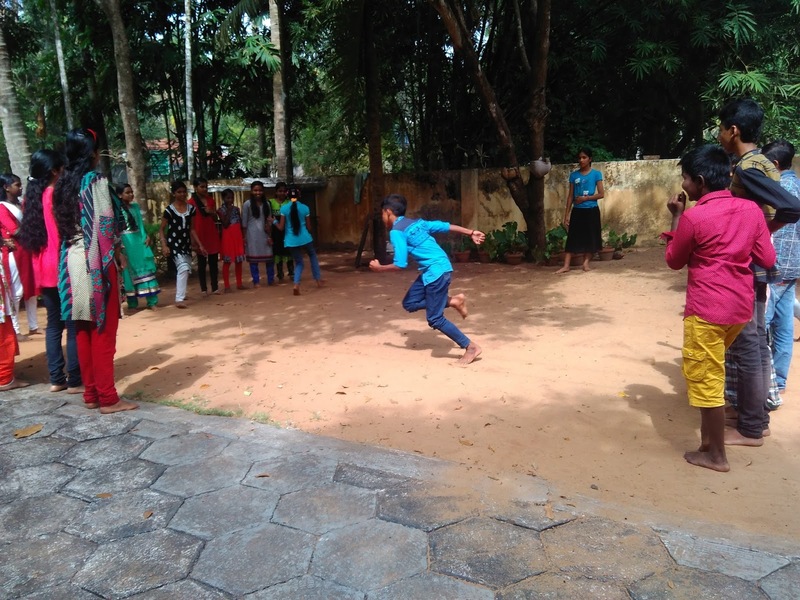 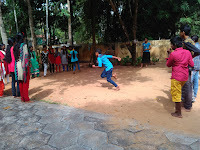 From morning 9.30 to evening 3.30pm, children were trained in chanting of prayers, singing of a song on Swamiji,an action song on Mother India, slogans, commands, Surya Namaskar, games and stories. 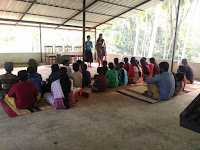 Story telling session by Su.Bindu.